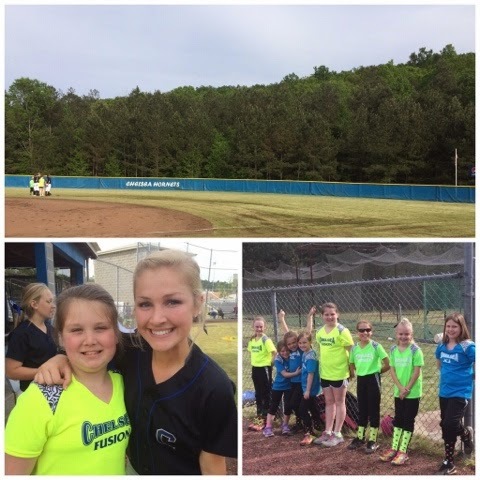 April 27th: CYC softball girls supporting the Chelsea High School Softball team!!! 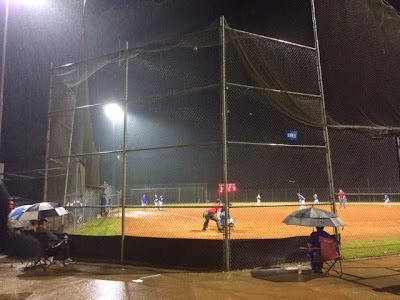 Tuesday, April 28th: Rainy Baseball Games are no fun.... Jackson played a baseball game in the rain tonight! That was not very fun to say the least! Thursday, April 30th: Peach Love Yellow Fusion! 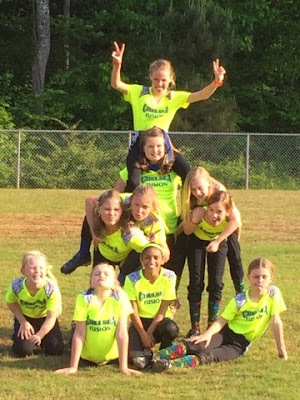 Tonight Brylee had team pictures and a game!!! It's been a fun season!!! 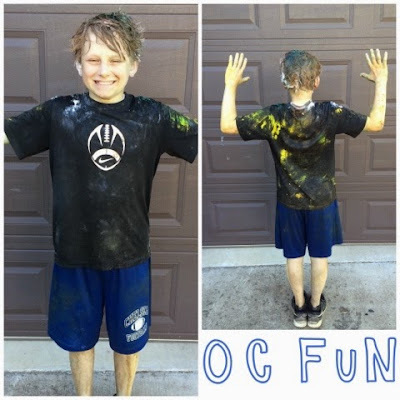 Friday May 1st: 6th grade CHMS OC- the OC ( which stands for organized chaos) was a huge hit! Jackson enjoyed playing in all the paint, pudding, eggs & anything else they had! But Lord have mercy on my shole... He smells terrible when I picked him up! Shoo-Weee!!!! 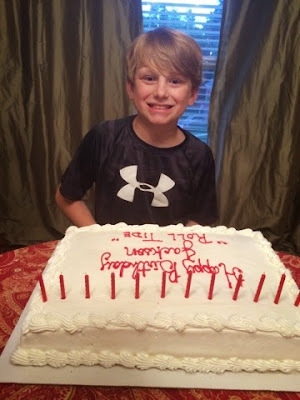 Saturday, May 2nd: happy 12th birthday Jackson! 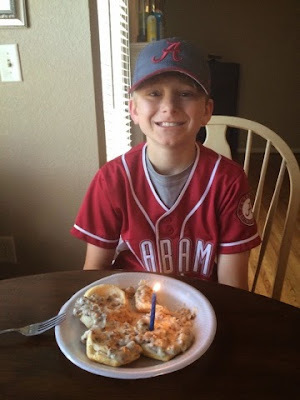 We kicked off the morning with birthday biscuits and gravy! 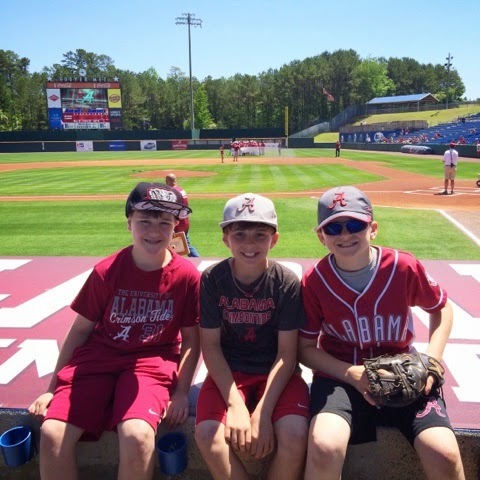 That afternoon Richard took Jackson and 2 of his friends ( Landon and Brandon) to the Alabama baseball game!!! While they were at the game GoGo and I were helping give a house warming party for my cousin & his wife! 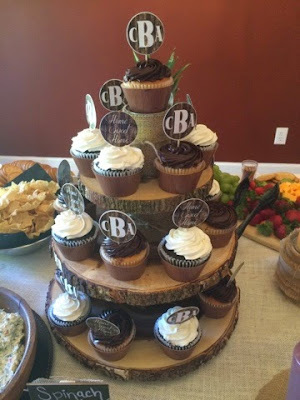 How cute are those cupcakes and cupcake stand?!?! My favorite for sure! 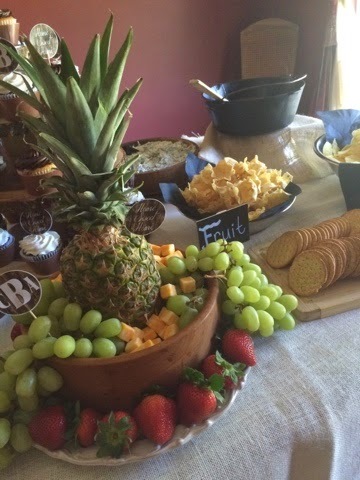 More food pics from GoGo... Mrs Party Extraordinaire!!! 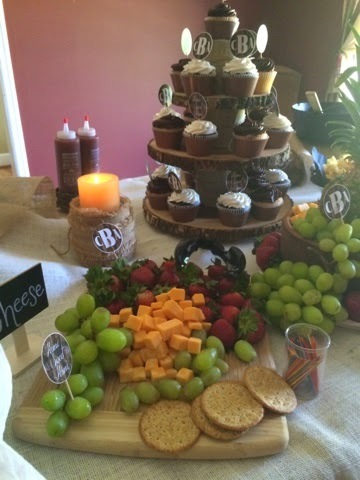 It was a super cute party complete with mason jars and chalk labels which we failed to get a picture of those :(!!! We had a Low Country Shrimp Boil Party at our house for Jackson's family birthday! 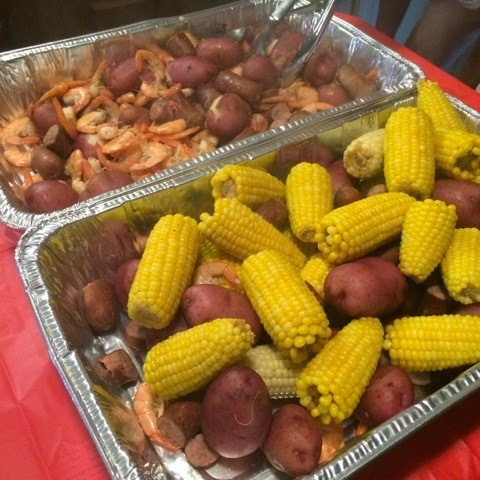 RP did a great job cooking it for us!!! 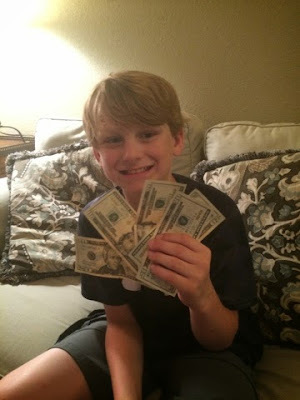 This was the year of money money money!!!! That what he ask for and that's what he got!!! Show me the money!!!! Happy 12th Birthday Jackson!!! 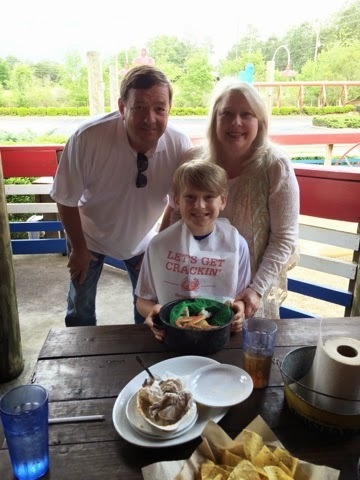 We love you lots and enjoyed celebrating you this weekend!!!! I can't believe next year you will be a teen!!! Insert sad emoji face!!!! 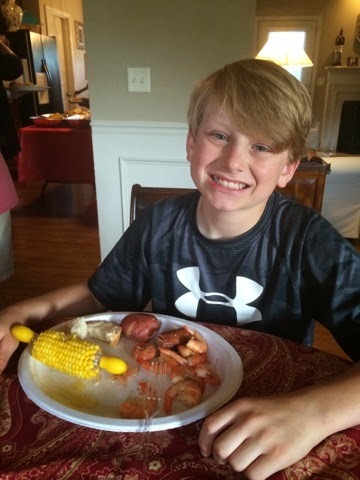 Where did my baby go?!? !